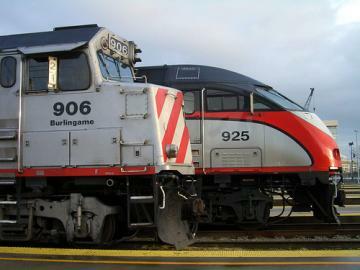 Caltrain is a descendant of the San Francisco Peninsula’s oldest intercity passenger rail system, which began in 1863 as the San Francisco and San Jose Railroad Co. The service provides a fast, convenient alternative to driving the heavily congested Bayshore Freeway, (Highway 101) between San Francisco, San Jose and south to Gilroy. This popular commuter rail service continues to attract new commuters and travelers with major upgrades completed between 1995 and 2004. Up to twenty 80-mph limited stop “Baby Bullet” express trains run weekdays between major stations taking just 57 minutes to complete their runs between San Jose and San Francisco. » If you’re a first time Caltrain rider, we will show you the ropes to ensure a easy ride on the train. Caltrain passenger coaches are of two types. “Baby Bullet” trains with newer bi-level Bombardier equipment offer 110-volt AC power outlets with tables for laptops and other electronic devices. 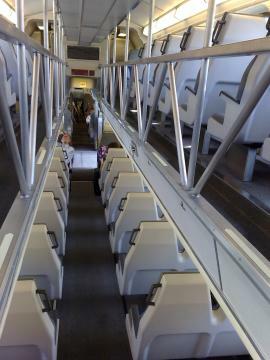 Older gallery cars also have seating on two levels. All trains have restrooms, baggage racks, bicycle storage and seating reserved for seniors and people with disabilities. Wheelchair boarding assistance is available at most stops. Ticket machines are available at all stations. Ticketing is based on the honor “proof of payment” system; if caught on board without a valid ticket during a random inspection, a fine could result in addition to being put off of the train. The right-of-way from San Francisco to San Jose Tamien station is publicly-owned by the Peninsula Corridor Joint Powers Board. Between San Jose and Gilroy, Caltrain runs on tracks owned by Union Pacific Railroad, a private company that hauls rail freight. Route length: 51.4 miles from San Francisco to San Jose and 30 miles from San Jose to Gilroy. Fastest time between San Jose and San Francisco: 57 minutes. 96 trains daily on weekday, including 20 Baby Bullet expresses, between San Jose and San Francisco at minimum hourly frequency. Trains run approximately every 90 minutes on weekends. Caltrain currently is pursuing electrification. Electric trains will provide faster starting and stopping, permitting more trains on tighter frequencies. Construction began in July 2017 and is expected to be completed in 2021-2022. Caltrain is also pursuing various projects to improve tracks, rebuild or eliminate grade crossings, and upgrade its signal system. Caltrain’s operating funds comes from the three member transit agencies (SamTrans, VTA, and SFMTA). About half of the operating cost is generated through fares. It has the second highest farebox recovery rate in the Bay Area. 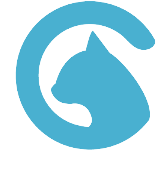 Attend monthly public PCJPB meetings and voice your support and appeal for new funding. Write or send email to PCJPB members. Contact your local city councilmembers and county supervisors to voice your support for Caltrain electrification and more frequent service. And of course, ride it whenever you can, and tell your friends about it.